Our award-winning marine biology curriculum is now more exciting than ever! 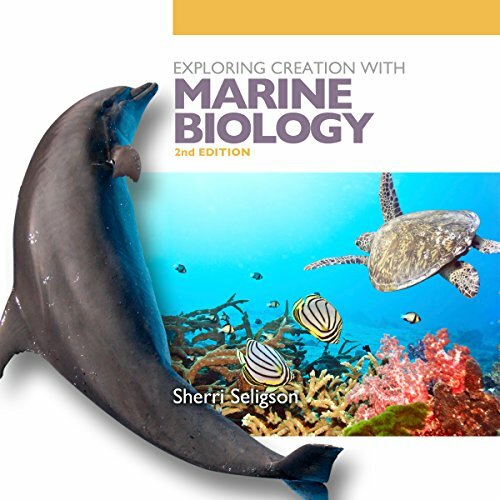 The updated second edition takes your student under the sea to explore the many wonders of marine wildlife and habitats. Topics covered in this edition include everything from microscopic organisms that make life in the ocean possible to macroscopic marine creatures such as clams, starfish, and sharks. Students will discover how these creatures and their physical surroundings form marine ecosystems such as intertidal zones, estuaries, coral reefs, continental shelf communities, epipelagic communities, and deep-ocean communities. I am a believe in Christ. There were simply not enough claims in every chapter that geologic time and evolution is incompatible with God. Why would an infinite, timeless, Creator create the earth billions of years ago (like all the best science suggests)? why would the God of all use a beautiful and intricate mechanism like evolution when He could just Do? All sarcasm aside, I am a second year biology student at a religious University; I got this book for a bit of lite listening and I was really disappointed. I wholeheartedly love and believe in God and I do not see how or why evolution negates God existing. If we were to learn the exact science behind how Jesus multiplied the loaves and fishes or how through Moses God parted the Red Sea this would not make these miracles any less amazing. We are created in His holy image. Could this have been a gentle shaping over eons? When I think of the universe being 13.8 billion years old or it's massive scale I am filled with awe and reverence for my God.